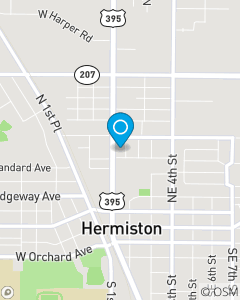 Serving the auto and homeowners insurance needs of the Hermiston area. We partner with State Farm to provide quality insurance services while recognizing customer needs for car insurance, home insurance, life insurance, health and small business products. Our team strives to provide quality and friendly customer service. Stop in, call in or click in for a FREE insurance quote. The Jesse Torres Insurance Agency team has been serving the insurance needs of Hermiston and surrounding area since 2017. Our focus is auto, renters and home insurance throughout Umatilla and Morrow County. We have over 20 years of combined Insurance experience and look forward to meeting you and serving your insurance needs. Call the Jesse Torres Insurance Agency team anytime, 24/7 for a FREE Auto Insurance Quote!